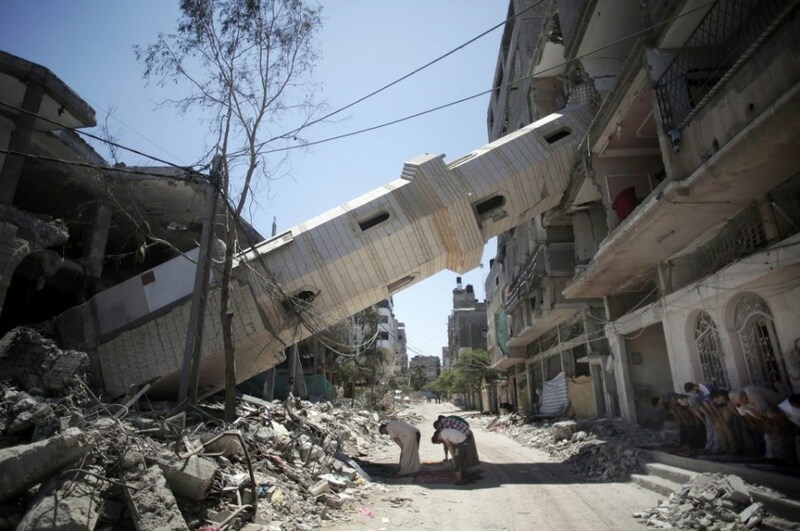 203 Mosques were targeted in Gaza, 73 destroyed completely but the people will never kneel before Israel. 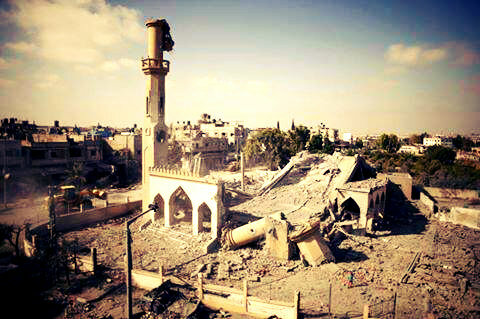 Israel is not only hitting the essential infrastructure of Gaza, targeting ambulances, hospitals, disabled centres, water supply, civilian houses they are trying to rip out the heart of Gaza by targeting over 10 mosques over the last 7 days of bombardment. The faith of the people of Gaza is what gives them the invincibility in the face of such overwhelming and crushing military force. The call to prayer as the F16s thunder overhead is one of the most rousing and poignant sounds I have ever heard. It is a direct connection to all that is Holy and pure in this life of violence and terror. It is the still in the night of torment. 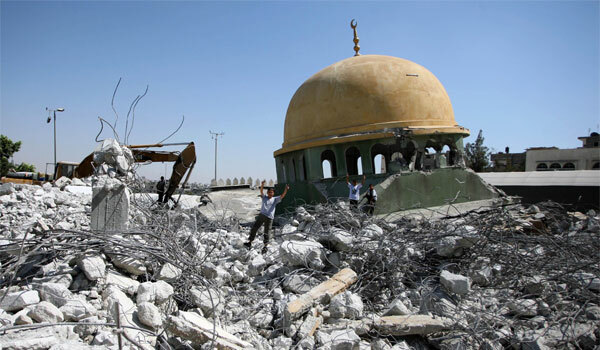 Israel is trying to destroy this ultimate resistance to its tyranny but it will never succeed because the heart of a Palestinian does not beat only inside a mosque it beats even when it has been ripped out. It beats with life, with dignity and with a grace Israel will never comprehend. When it comes to Humanity, you have lost the war Israel, long before it even started. “In the aftermath of Operation Protective Edge, Israel’s 51 day military assault, the Palestinians in Gaza are faced with the huge task of reconstruction. Most of the shattered civilian infrastructure can be replaced, but Palestine’s cultural heritage in Gaza, built over a thousand years and more, has been damaged irrevocably. Many of Gaza’s most ancient sites have been left in ruins by Israel’s attack on the territory. Houses of worship, tombs, charity offices and cemeteries have all been damaged by the shelling, but Gaza’s historic mosques have been the worst affected. Many of these sites date back to the time of the first Islamic caliphs, the Ottoman Empire and the Mamluk Sultanate.